► Once you purchase, you will immediately be able to download this file. 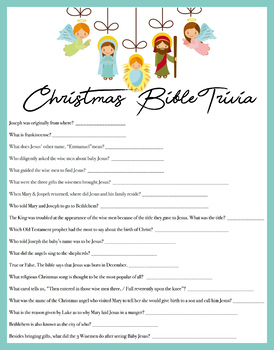 Christmas Bible Trivia - All about the Christmas Story- the real meaning of Christmas! Have fun with your friends and family to see who knows the story or Mary, Joseph and Baby Jesus the best!